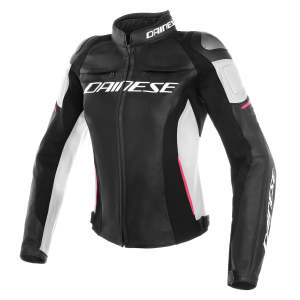 The Racing 3 is an iconic jacket and evolves this year with radical new features, whilst retaining the same dream fit with dedicated models for men and women. 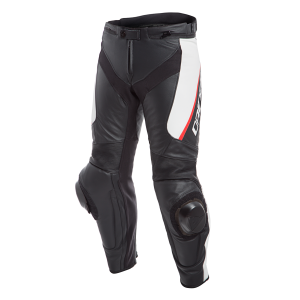 Tough Tutu cowhide leather with air intakes and perforated cooling zones helps to keep body temperature at a comfortable level. S1 fabric and microelastic 2.0 stretch zones ensure a perfect fit. Replaceable aluminium shoulder plates are combined with composite protectors to offer a high level of safety and performance. 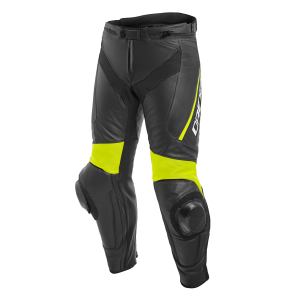 Pockets for the double chest protector, G1 and G2 back protectors are included whilst two outer pockets make sure valuables stay safe whilst on the move. 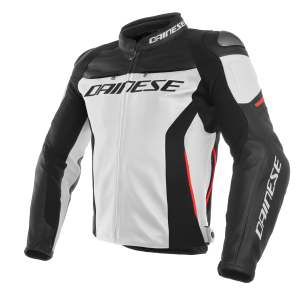 This light, flexible and agile jacket is available in five colours (white/black/red, black/fluo-red, red/black/white, /black/fluo-yellow and black), and in UK sizes 34 – 54 (sizes 8 – 22 for women) with an RRP of £399.95. 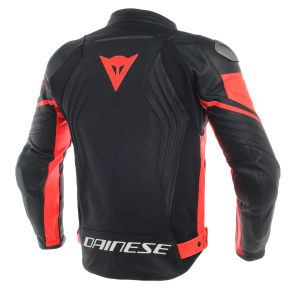 With Dainese standard jacket-to-pant fasteners, this jacket can be fastened to any leather pant in Dainese’s range. 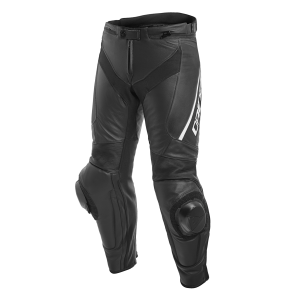 But the star of the show is the Delta 3, an all-new sports pant designed to match the sport jacket range for agile comfort. Hip adjusters and S1 fabric with elasticated inserts ensure great fit and flexibility. 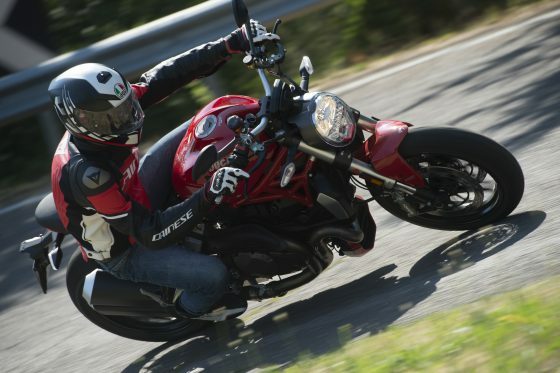 Tutu leather with perforated cooling zones provide tough abrasion resistance. 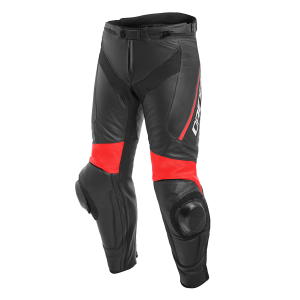 Protection comes in the form of certified protectors at the hips and knees. 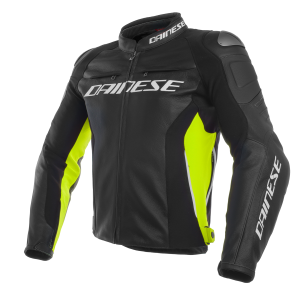 Pista knee sliders and suit-to-boot fastening system complete a performance package with distinctive Dainese style in dedicated models for men and women. 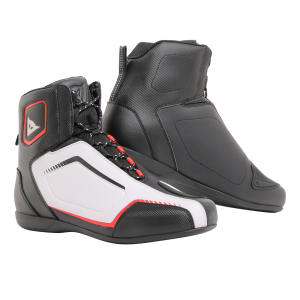 With an RRP of £349.95, the Delta 3 is available in UK sizes 28 – 48 (sizes 6 – 22 for women) and in four different colours (black/white/red, black/white, black/fluo-yellow and black/fluo-red). 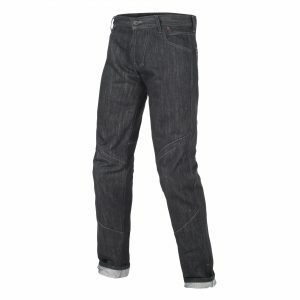 As a more relaxed alternative, the Charger jeans for men and Amelia jeans for women offer incredible protection thanks to fabric woven with aramid fiber that provides rigid protection at the knee and Pro-Shape soft armor at the hips. A perfect addition for further protection, the Pro Armor back protector is constructed of expanded nitrile rubber with a perforated structure. 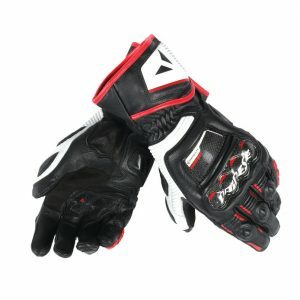 The protector bends and stretches longitudinally and laterally, and is held in place by removable shoulder straps and an adjustable lumbar band. 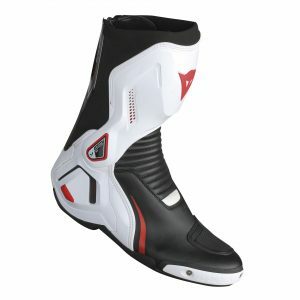 The Pro Armor back protector is available in either short or long in sizes XS – M, L – 2XL with an RRP of £109.95. 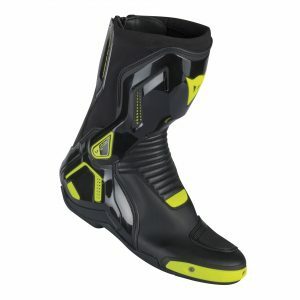 A sport boot derived directly from the Torque family, the super-light, CE-certified Course D1 Out is a perfect choice for this sports-style outfit. 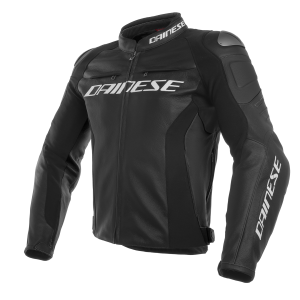 Combining protection and style, it offers a bicolor replaceable plastic slider and a thermoplastic version of Dainese’s excellent D-Axial hinge system. 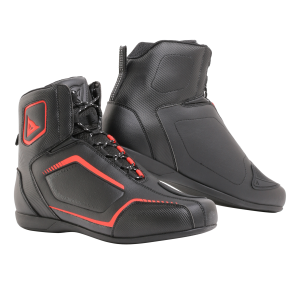 The Course D1 Out is available in UK sizes 5 – 13 and comes in four different colours (black/white/red-lava, black/anthracite, black/fluo-yellow, black/fluo-red and black/anthracite) with an RRP of £239.95. For a more relaxed, casual look the Raptors are the perfect option. These lightweight, ankle-hugging shoes come with ventilation and a multi-grip sole making them ideal for summer. Featuring ankle protection, asymmetrical lacing and stand-out colorways enhanced by reflective inserts, they are a great alternative around town and on the open road. 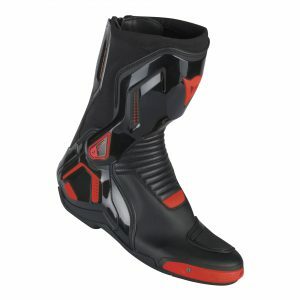 Available in UK sizes 4 – 12, in three colour options (black/anthracite, black/white/red-lava and black/fluo-red) with an RRP of £139.95. 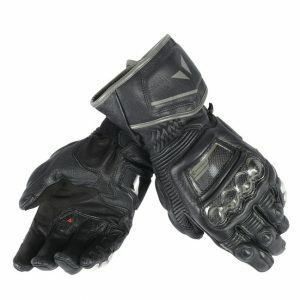 To complete the outfit, the Druid D1 Long motorcycle gloves provide high-level protection with carbon composite inserts at the knuckles and back. 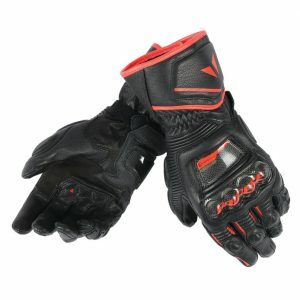 Resistance to impacts and wear is catered for with polyurethane inserts on the palm, finger joints and little finger. 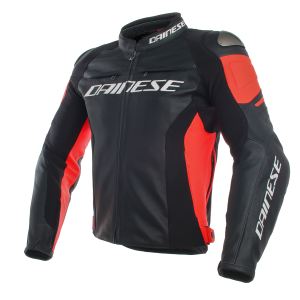 Available in four different colours (black, black/fluo-yellow, black/fluo-red and black/white/lava-red) in sizes XS – 2XL with an RRP of £169.95.